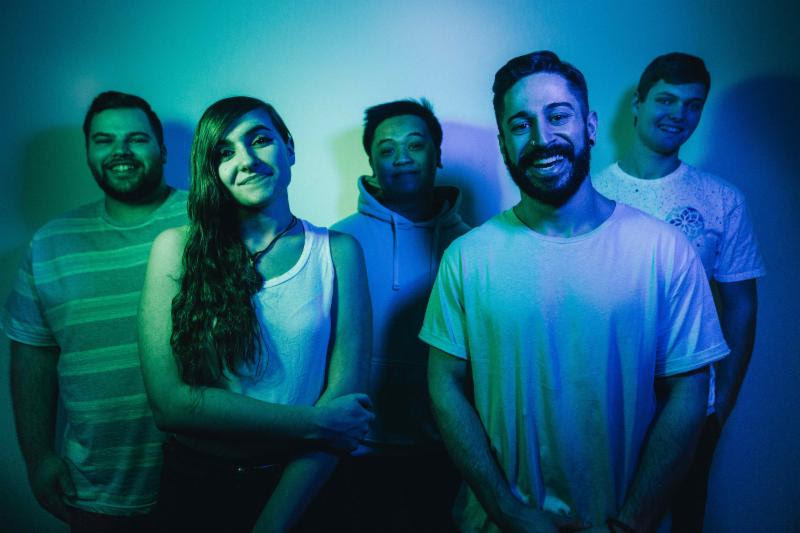 The Ones You Forgot Discusses the EP and Plans on Playing Shows! 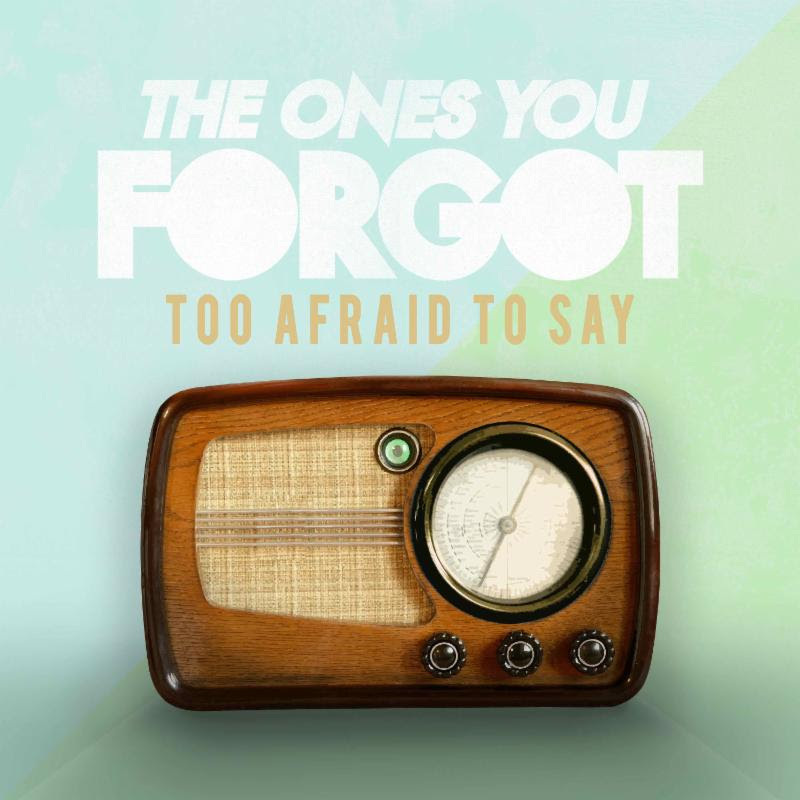 Pop rock punks THE ONES YOU FORGOT plans on releasing their new EP "Too Afraid To Say", with further plans on playing some shows, and even working in the studio later on! The band members gathered together to disclose the details about themselves, EP release, and future activity planning as well. 1. Introduce yourself, tell me what you do in The Ones You Forgot, and how long the band has been together. We have been playing shows together since the fall of 2014! Jenna is on vocals, Ferd and Matt on guitar, Justin on drums and Lance on Bass. We are based out of New Jersey. It’s a great place to get started in music, and we definitely have a sense of Jersey pride with all of the great artists that have originated here. The scene is evolving, and a few new venues have opened up within the past two years or so, which is always exciting! Our favorite area would definitely be Asbury Park. Some NJ locals that we’d recommend you listen to are Poeta, With Sails Ahead, Inventure, Losing Streak, Glume, Creating Clementine and Hang Tight. You have plenty to check out! 3. How would you describe the music that you play to those who have never heard it before? We like to describe our music as pop rock or pop punk. We have influences from quite a few different genres, but as a whole we feel we definitely fall into that family. We like to make music that is not only fun for the listener, but fun to play live! 4. What brought up the idea for the band's name The Ones You Forgot? Who are the ones you forgot? Jenna: I came up with the name, and it actually happened very simply! When Matt, Ferd and I decided we wanted to make music together, I literally just jotted down a list of words and phrases that I liked. We settled on The Ones You Forgot, but we also are often referred to as TOYF, pronounced as if it was actually a word. A lot of the names on that list were pretty cheesy, I hope to find it one day because I’m sure it would be pretty funny to read through. I think The Ones You Forgot is a name up for interpretation, and I like that. 5. Who produced the EP, "Too Afraid To Say" and what was it like working with them? We worked with Rob Freeman of Audio Pilot Studio. We split the EP into two sessions, one in early 2017 and one later in the year. When we left the studio the first time, we were so incredibly excited to go back. Working with Rob has been such a great experience. He’s hardworking, honest and brought our songs to life in ways that we never had imagined. His creativity and skill inspires you and you can tell he is passionate in what he does. Oh, and he also has a perfect dog named Molly who hangs out while you record, which is definitely a bonus. Spending time in the studio is such a great way to bond with your bandmates, and even though ‘Too Afraid To Say’ is just on its way, we can’t wait to go back! 6. Is there any story or concept behind the EP, "Too Afraid To Say" title? Jenna: Too Afraid To Say is a collection of songs that discuss fear, and the things I was LITERALLY too afraid to say, whether that be to a loved one, someone who hurt me, or even to myself. There were a lot of things I had kept bottled up and did not know how to express, simply because they scared me. I came up with the title after I listened to all the songs back to back. It just felt right. The cool thing about ‘Too Afraid To Say’ is even though I wrote the lyrics, once I heard the words being directed towards me, I felt I had learned a lesson: fear is completely normal, makes you human, and we all battle it in different ways. 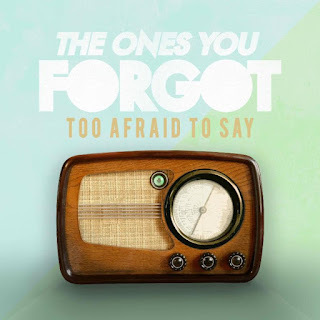 7. Who did the cover art for EP, "Too Afraid To Say" and how much input did you have on it? Jenna: The cover art for the EP was created by Billy Barber of Dead Eyes Art. I came up with the concept of the design, and Billy created it digitally. The reason I chose a radio is because it is a universal sign for communication, especially in dreams. When you fear talking about something, communication is blocked. The band and I decided to choose the pastel like colors of green and blue to bring some brightness to the record, because even though fear can be haunting, we can all find a way to fight through it. 8. Select two songs from EP, "Too Afraid To Say" and what inspired the lyrics. Jenna: First I will talk about Here Forever. This song is all about the fear of losing a loved one. I wrote this song because my friends and family mean absolutely everything to me, and I can’t imagine living in a world without them. When writing, I did so hypothetically as if someone I knew were sick or suffering in some way and how I wished they didn’t have to leave the world this way. What was crazy about all of this, is about two months after we recorded the song, my mom was diagnosed with cancer. It was like the song came to life in the worst way, but it made me feel even more connected it. Fortunately, my mom is doing incredible, but it is still crazy to me how it happened. Next, One Step Ahead. There comes a time when you may realize that a person in your life is incredibly toxic to you. It hurts a lot, because often that person is someone you care deeply about. This song is kind of like an anthem for self-respect, and how sometimes it is best to leave a person in the past so you can grow. Friendships and relationships are never perfect, but when everyday leaves you hurting, chances are it is just not meant to be. I was afraid to admit to myself that I was not being treated fairly, and I was afraid of change. It hurts to watch someone leave, but down the road you begin to understand that it was for the better. And the great thing is maybe things can work one day in the future, but it’s just not the best time right now, and that’s okay. 9. What accomplishments are you most proud of as a band? Getting the opportunity to play Starland Ballroom a few times has definitely been incredible. We all grew up going to shows at this venue, and we are so proud that we were able to step on the stage. In addition to that, I think releasing this new EP in general is one of our proudest moments as well. We worked so hard on it for quite some time now, and to see that it is finally here is so exciting! 10. How about plans for the rest of this year, talk it out with us? We plan on riding out the rest of 2018 playing shows and sharing "Too Afraid To Say" with the world. Maybe even a little bit of writing/studio plans in the winter? We shall see! 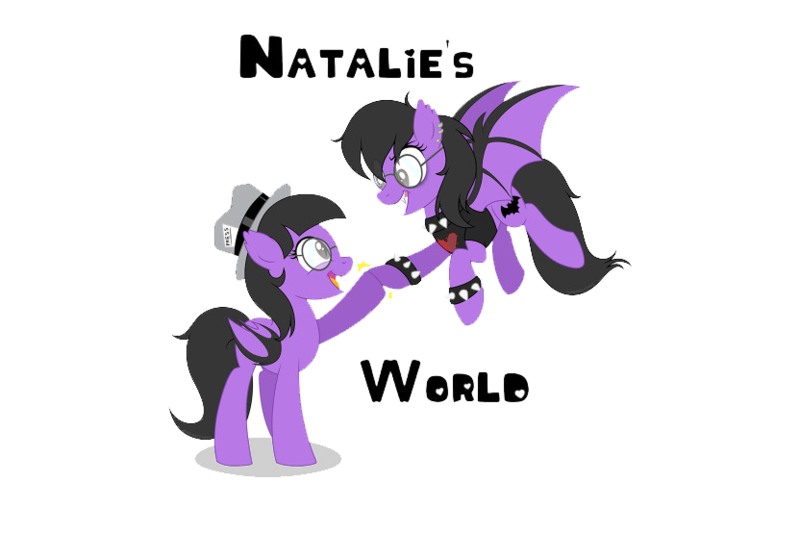 Just thank you for having us, and best of luck to Natalie's World!